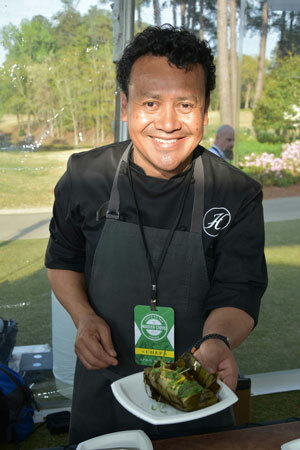 Taste of the Master Chefs brings together award-winning chefs, celebrities and golf fans for a worthy cause. It’s easy to have a full plate during Masters Week, and local residents or visitors can add a special culinary event to their menu. 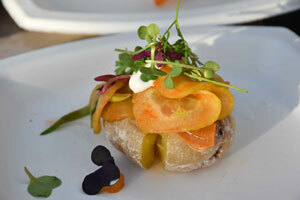 Taste of the Master Chefs will offer cuisine prepared by 15 James Beard Award-winning chefs from across the country. The event can accommodate about 2,000 people, and guests can purchase tickets online for a VIP Experience or the Main Event. The VIP Experience includes early admission, a meet and greet with the award-winning chefs and special guests, reserved seating at a private lounge or table, a private bar and more. Professional athletes, including golfers, and giants in the music and media industries will be among the guests. Musical entertainment also will be provided. This year’s lineup of master chefs will include Rich Rosendale, one of only 68 certified master chefs in the country. 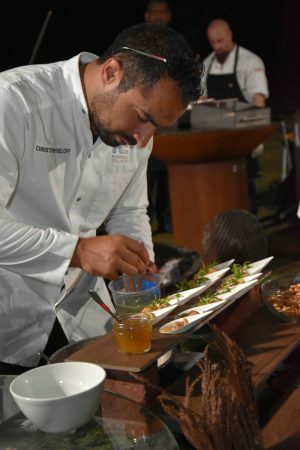 A designation of certified master chef, presented by the American Culinary Federation, is the highest level of certification that a chef can receive. José Andrés, who served as chef chair for the previous two TOMCs, also is expected to attend this year’s event. A pioneer of Spanish tapas in the United States, he is known for his groundbreaking avant-garde cuisine. Together with World Central Kitchen and #ChefsforPuertoRico, he served more than 3.3 million meals in Puerto Rico following the devastation of Hurricane Maria in 2017. Nominated for a 2019 Nobel Peace Prize, Andrés was named the James Beard Foundation’s 2018 Humanitarian of the Year and one of Time’s Most Influential People. “Awards and achievements just seem to follow him because he does everything he can to help others,” Merrill says. The chefs are not the only ones to garner attention, however. The fundraiser itself got a shout out on NBC’s Golf Channel last summer when one of the event chefs, John Howie of Seattle, was featured in a segment with PGA Tour Champions pros Rocco Mediate and Gene Sauers. The players took Howie to a golf course to give him golf tips, and he invited them into his kitchen to teach them how to cook the perfect steak. Merrill started the fundraiser with Wayne Kostroski, Taste of the NFL founder and 2010 James Beard Humanitarian of the Year, in 2017. A former Augusta resident, Merrill served as host to private parties during Masters Week for almost 20 years. However, she always had a vision to create a premiere, city-wide event during the tournament. The mission of the event is to raise funds and awareness for hunger relief, and all proceeds benefit the Salvation Army of Augusta. When: Friday, April 12; VIP Experience 6:30 p.m., Main Event 7:30 p.m. Published on March 29, 2019 in People.